Finding your room’s new look can be difficult. Web searching, magazine flicking, shop wandering – ideas at every turn and behind every corner, another flash of inspiration. If you’re like me you’ll have piles of snippets from mags, turned over pages, and far too many bookmarked websites. Products that look just perfect on the page but what about the touchy-feely? We found out that when it comes to getting samples it can often be a thankless task with a seemingly never-ending drudge of email request after email request. We wanted our vinyl flooring samples to be a little more readily available. Plain vinyl flooring samples are readily available. If you’re looking for beige or brown you’re in luck. You might be charged for them and have to wait a while but when you’ve got to check whether that shade of greige works better than another, you’ll get your fix. But if you’ve decided on something just a little more adventurous you really might need to check the pattern or colour. And you probably want to have your flooring sample sooner rather than later. That’s what I thought so we brought in a new sample system. One where we hold pretty much every one of our designs in the sample cupboard ready to ship. 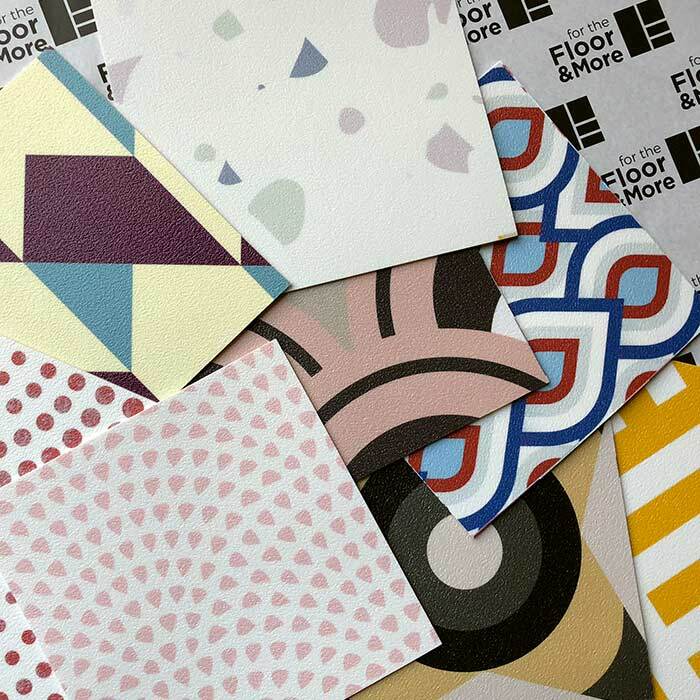 Give us a couple of days and we’ll package up and post off your patterned vinyl flooring samples direct to your door. Nothing, nada, not a sausage. If you’ve stumbled upon our site and realised with a smile that flooring can be more about pop and zip, then you’re someone like us. The ones who want to walk on a floor that’s upbeat, not downtrodden. That’s why we don’t charge for our colourful vinyl flooring samples. 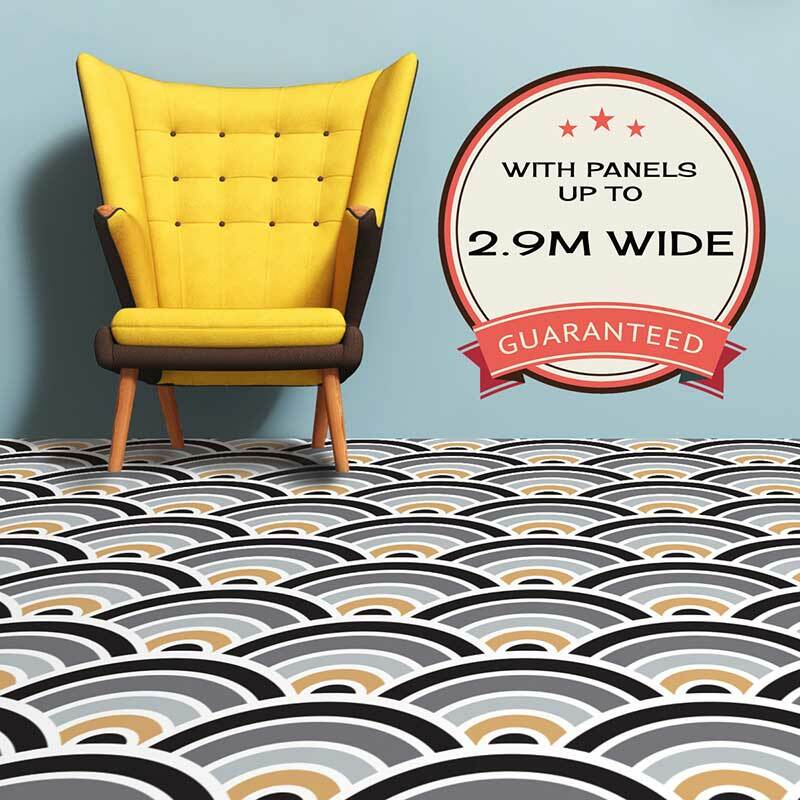 Browse the growing number of flooring patterns in the store. Find the design that catches your eye. The one that’ll add your unique pep to the room. Scroll down to the box that’s below each design and pop in your details. Not the one here – that’s just to show you what it looks like! In a couple of days, your chosen sample will drop through the letterbox. Have a good look, make sure you’re happy with the vinyl, the print and the colours. If you’ve set your heart on a design but on seeing it up close the colours are just not quite right, get in touch. We can wherever possible tweak hues and tones to better fit your individual vision. 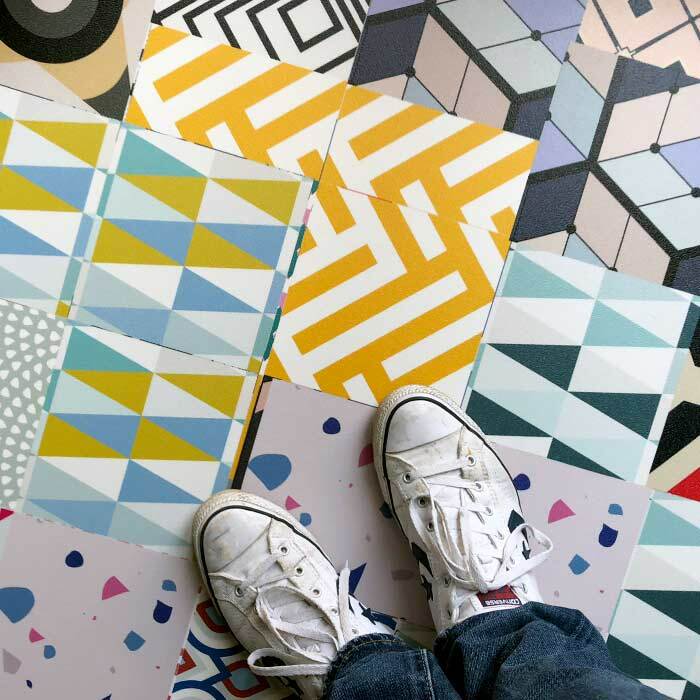 If you’re stuck for inspiration, cast your eye over at the posts on patterned floor coverings or some of our latest contemporary style floorings. If something a little moodier and monochromatic is your thing, follow the link for our new black and white patterned vinyl flooring designs. And make sure when you’ve found your style, you fill in the little box and let us know what and where to send! Remember that all our flooring patterns are available at up to 2.9m wide by pretty much any length so most rooms can be covered in one piece flooring. We can also tweak colours and amend pattern sizes to suit your style. Fancy something unique to you? Get in touch and let’s see what we can do!